WASH is a spoken word/electronica collaborative project between Warren Daly, Alex Leonard, Scott Bywater and Hal FX established in the first half of 2013. Ppre-order the 18 page limited edition full colour book, while it lasts! Includes large colour photos of paintings by Chhan Dina, and Adrianna Snochowska, poetry by self, music by Hal Fx, Alex Leonard,and Warren Daly. 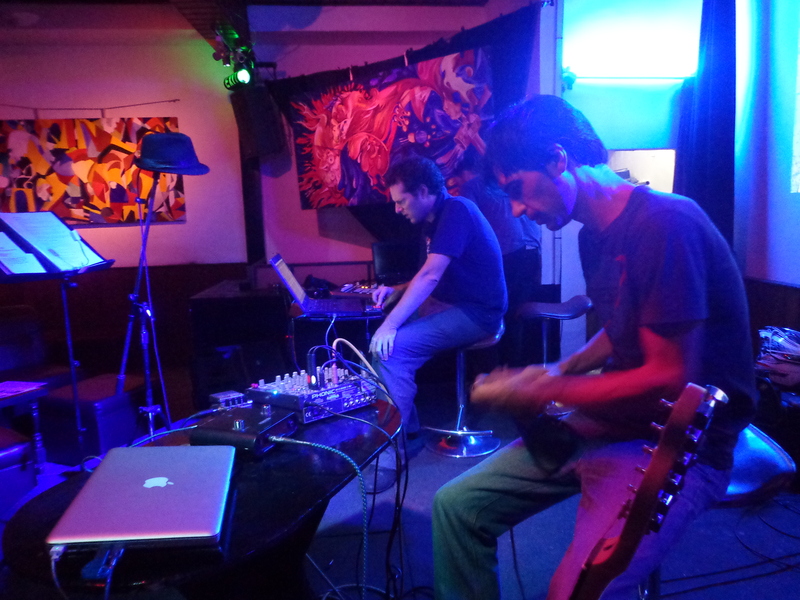 A subsequent work, The Next Horizon, was first performed at Doors, Phnom Penh, on 20 August as part of Vibe Music Festival. 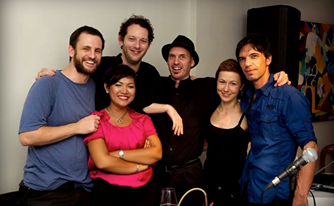 This was followed by performances at META House, Phnom Penh, on 14 September and Equinox, Phnom Penh, on 25 September. A studio recording is planned, with a tentative release date of 2014.
written, arranged, performed, improvised, captured and set free by Warren Daly, Alex Leonard, Scott Bywater and Hal FX. Each section is approximately 25-30 minutes long. There will be a short break between sections. Inspired by the music as it was created, artists Chhan Dina and Adriana Snochowska have painted backdrops for the performance, reflecting the three sections. Video projections have been prepared by Warren Daly. My poems are generally spontaneous, improvised, unpolished. They live, and are written, in moments. They are not often read aloud. Particular themes have become apparent over time, sometimes to the extent of being repetitive. Triptych seeks to draw out these themes and images through sonic, harmonic, rhythmic and visual expression, a collaboration at once structured and improvised. This project has allowed me to explore unknown territory, in the creation of electronic music, in working with musicians outside the rock’n’roll or jazz spheres, in reading-as-if-singing. With a background in pirate radio, clubs and festivals, Warren Daly made the move from DJing to creating and performing his own music and live visuals as the curtain closed on the last millennium. His experience in the Irish music scene led him to co-found record label Invisible Agent, releasing its first 12″ vinyl in 2004 before making the move to an all digital catalogue as an internationally-focused netlabel which he now runs from Phnom Penn, Cambodia. The disparate sounds of Ireland, South Africa and Cambodia serve as living inspiration for Daly, and while Invisible Agent continues to showcase a cavalcade of emerging Ambient, Electro, Electronica, Techno and Breakbeat talent, his eclectic approach to electronica has propelled him into the studio and out onto the stage with a series of remixes and releases under this own name, described by DJ Mag as “jaw-droppingly beautiful arrangements [with] glistening melodies accompanied by languid breaks”. Involved in music from an early age, Alex became interested in electronic music in the late 90’s. He first started experimenting with music production in 2000 and proceeded to study sound engineering and music technology. Since then Alex has done sound design and music composition for numerous short films, documentaries, art performances, plays, installations and a feature film. Alex also releases music under the name “Ebauche” which covers a range of dark beat driven electronic music, to sublime ambient cascades, to simple piano compositions. He plans to release a full-length album mid-2013 on Invisible Agent Records. Scott Bywater is a kind of a music guy, who writes a bit. Less vaguely: a poet and singer/songwriter, a founder member of the Cambodian Space Project, and a familiar face within the expat Phnom Penh music and arts community. He returned to writing poetry in 2011, establishing a blog, thesilverpepperofthestars. Poems from this blog have been published in two volumes, a certain flow (2012) and one sky, many skies (2013). Scott currently lives out of a suitcase in Phnom Penh, and likes it like that. Music Producer and creative force behind Audio Mainline. Creating hypnotic cinematic music and remixes. Along with soundtracks for video and sonic-art installations for various galleries. Collaborative works have also featured various artists from Audioweb, Lamb and The Smiths, to the Beethoven Orchestra. 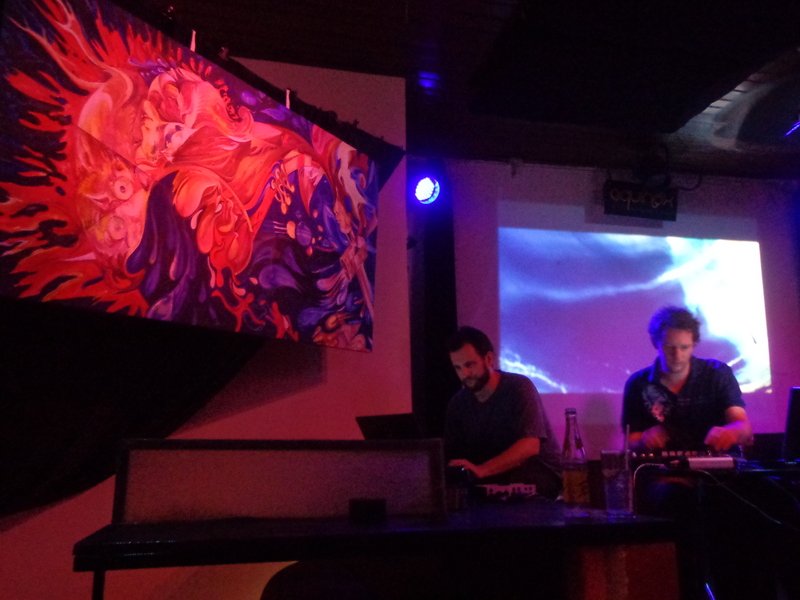 Influences range from electronica, dub, classical and the far east. Hal will be performing live ambient guitars using Protools for the WASH collaboration.